This article is a survey on research done in recent years at FU Berlin applying methods from Computational Geometry to problems in pattern and shape analysis. 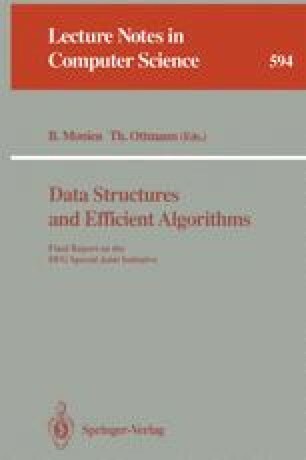 In particular, algorithms are described for determining the exact and approximate congruence of finite sets of points in the plane. This problem is generalized to polygonal curves in the plane, where variuos cases are considered depending on the set of rigid motions (translations, rotations) allowed to match the given curves. Furthermore, algorithms are given for approximating convex polygons by ”simpler“ curves. In addition, the problem of finding all symmetries of a finite set of points is considered, the approximate version of which turns out to be NP-complete in general.